just on the side of the circus. In the 4th century, Emperor Costantino got to build a big Basilica upon Peter’s grave which had already become a pilgrimage site. 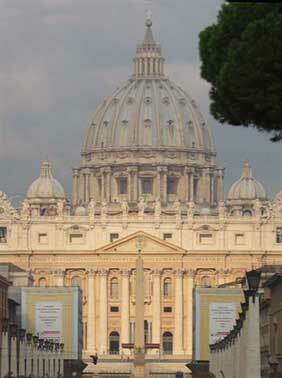 The Basilica dedicated to the Saint acquired over the centuries a very high symbolic and political value. It was completely renovated at the beginning of 16th century and today it appears like a huge baroque complex but where the big dome by Michelangelo stands out. The Vatican City keeps a very high number of art treasures: the Vatican Museums with its 400 rooms exhibits a huge collection of classic antiquities among which the “Laocoonte”, the “Apollo del Belvedere” and the “Torso del Belvedere”. Do not miss the “Galleria degli Arazzi” and the “Galleria delle Carte Geografiche” as well as the rooms frescoed by Raphael and commissioned by Pope Giulio II (in particular the frescoes called “Scuola di Atene” and “Parnaso”). And of course the Sistine Chapel which contains frescoes by the masters of the 15th century that are somehow framing of the masterpieces of Michelangelo. 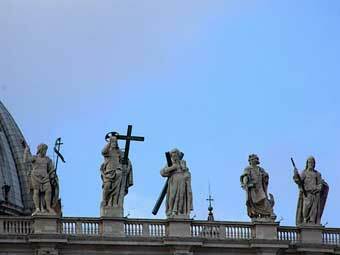 From the spectacular Piazza San Pietro, you can see the Apostolic Palace where the Pope lives nowadays and the obelisk at the centre of the square. 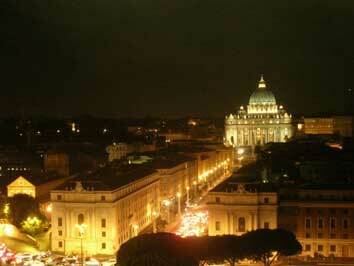 Towards the river Tiber, at the end of Via della Conciliazione you can see “Castel Sant’Angelo”. 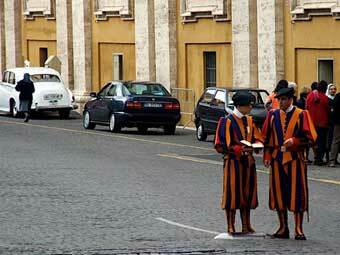 This road was erected during the fascist era to celebrate the creation of the Vatican City. Its building implied the demolition of most of the ancient “Borgo” district. “Castel Sant’Angelo” was built by Emperor Adrianus as his mausoleum and transformed into a fortress during the first barbarian invasions and later on dedicated to the Archangel Michael, during the plague of the year 590. 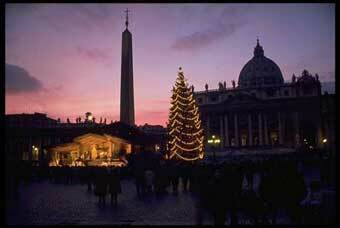 That was when the angel appeared sheathing his bleeding sword so as to signify that the plague was over. From the Castel to the Vatican there is a fortified wall called “Passetto”: a hidden passage used by the Pope and which connected his private apartments to the Castel. Without being seen he could find refuge in the Castel. the excavations of the Vatican Necropolis and the one on Via Triunphalis. 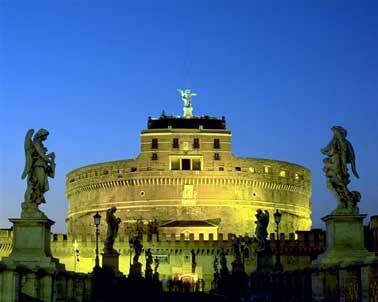 The National Museum of “Castel Sant’Angelo”. On one of the terraces, there is bar where you can enjoy a beautiful view over the City.